Rubén G. Rumbaut is Professor of Sociology at the University of California, Irvine, and Co-Director of UCI’s Center for Research on Immigration, Population and Public Policy. Dr. Rumbaut was a Fellow at the Center for Advanced Study in the Behavioral Sciences at Stanford during 2000-01, and a Visiting Scholar at the Russell Sage Foundation in New York City in 1997-98. A native of Havana, Cuba, he received his Ph.D. in Sociology from Brandeis University in 1978. He taught at the University of California, San Diego, and San Diego State University from 1978 to 1993, and at Michigan State University from 1993 to 2002. He is the Founding Chair of the Section on International Migration of the American Sociological Association, and a member of the Committee on Population of the National Academy of Sciences, the Committee on International Migration of the Social Science Research Council, and the national Research Network on Transitions to Adulthood and Public Policy. He has been elected to the Board of Governors of the General Social Survey, and to the Sociological Research Association. An internationally-known scholar of immigration and refugee movements, Dr. Rumbaut directed throughout the 1980s the principal studies of the migration and incorporation of refugees from Vietnam, Laos, and Cambodia who were resettled in the United States in the aftermath of the Indochina War-the Indochinese Health and Adaptation Research Project and the Southeast Asian Refugee Youth Study. He has traveled to Vietnam and Cambodia, and earlier to Sierra Leone, where he organized a field project on international health and economic development. More recently he designed and directed the first National Survey of Immigration Scholars in the United States, which has generated new knowledge about the social origins and intellectual formation of the multidisciplinary field of international migration studies. He is the author of numerous comparative research papers on the adaptation of immigrants and refugees in the United States and their contexts of exit and reception. His research has focused on intergenerational differences in adaptation, bilingualism and language loss, ethnic identity, citizenship and national membership, infant health and mortality, fertility, depression, self-esteem, educational achievement and aspirations, social mobility and inequality, modes of acculturation, and paradoxes of assimilation. Professor Rumbaut’s books include the critically acclaimed Immigrant America: A Portrait (with Alejandro Portes); Origins and Destinies: Immigration, Race and Ethnicity in America (with Silvia Pedraza); California’s Immigrant Children: Theory, Research, and Implications for Educational Policy (with Wayne Cornelius); Immigration Research for a New Century: Multidisciplinary Perspectives (with Nancy Foner and Steven J. Gold); and On the Frontier of Adulthood: Theory, Research, and Public Policy (in press, with Richard A. Settersten, Jr. and Frank F. Furstenberg, Jr.). He has two newly published companion books (in collaboration with Alejandro Portes): Ethnicities: Children of Immigrants in America and Legacies: The Story of the Immigrant Second Generation, the latter of which won the Distinguished Scholarly Publication Award of the American Sociological Association in 2002, as well as the 2002 William I. Thomas and Florian Znaniecki Award for best book in the immigration field. Both books are based on the landmark Children of Immigrants Longitudinal Study (CILS), the largest and longest-running research project of its kind in the United States, still ongoing, which they have directed since 1991. Two new books are in the works, based on the latest CILS survey (data collection was completed during 2001-03). 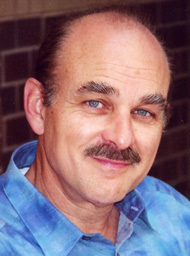 In addition to directing the CILS project, Dr. Rumbaut is currently involved in comparative qualitative research on transitions to adulthood, following up multi-ethnic samples from the CILS study in San Diego, as well as in various other field sites across the United States, with research funding from the MacArthur Foundation. He is also principal investigator of a large-scale multi-method research project, Immigration and Intergenerational Mobility in Metropolitan Los Angeles, in collaboration with a team of colleagues from UCI and UCLA-supported (as is CILS) by the Russell Sage Foundation.